•Online media, how did you get started? - Speakers, Venue, Focus, Topics at the event? •Tell us about Music Radio Creative: podcast jingles, Intros, Exits and audio branding process. •Audio gear you ... See More recommend for beginners and pros? 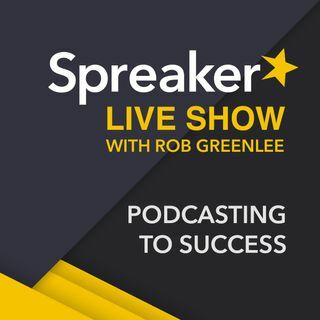 •How is podcasting doing in the UK and Europe? - Introducing Longer Episode Titles! - I enjoy your podcast so far, my favorite ones were the ones done at Podcast movement I would love to hear more conversations from guests done live in person. Skype and phone conversations always seem so forced and unnatural. - My answer: I am ok with the episode, but do agree that the energy of the interviews at Podcast Movement 2015 was outstanding. I had a blast doing all those interviews. It is hard to duplicate that energy in a skype interview.